Robert B. Ashlock, 88, a resident of Lookout Mountain, Georgia, went to be with his Lord on Thursday, March 28, 2019. Born on September 17, 1930 in Indianapolis, Indiana, Bob was an emeritus professor at Covenant College on Lookout Mountain. 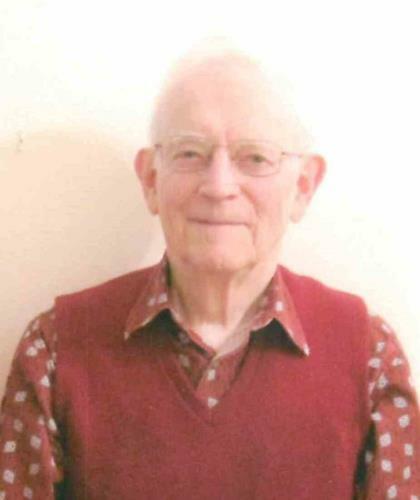 He was also an active member of Lookout Mountain Presbyterian Church where he served as clerk of session for 15 years and participated in the music program as pianist, organist and choir member. After serving in the U.S. Navy he earned B.S. and M.S degrees from Butler University, then served as a teacher and school administrator in Indiana public schools. Upon completion of a doctorate at Indiana University in 1965, he began a career as teacher educator, administrator and writer. For 15 years he was a professor at the University of Maryland; later taught at Reformed Theological Seminary and at Bellhaven College in Jackson, Mississippi. He continued in teacher education at Covenant College on Lookout Mountain, where he began teaching in 1988 and helped initiate their first graduate program. Bob was preceded in death by his parents, Hobert and Juanita Ashlock. He is survived by his lovely wife of 67 years, Julia Ann Bronnenberg Ashlock; brother, John Curtis Ashlock of Henderson, Nevada; daughter, Joli Ann Moore of Flintstone, Georgia; son, Alan Dean Ashlock of Bunker Hill, West Virginia, eight grandchildren, April Duffey, Justin Ashlock, Joshua Moore, Joanna Moore, Benjamin Ashlock, Joseph Moore, John Moore and Jason Moore; 13 great-grandchildren. After a private burial at Forest Hills Cemetery, friends will be received at Lookout Mountain Presbyterian Church from 10:30–11:45 a.m. on Tuesday, April 2. A memorial service at the church will follow at 12 p.m.
Memorial contributions may be made to Lookout Mountain Presbyterian Church or to Covenant College. Arrangements are by the East Chapel of Chattanooga Funeral Home, 404 South Moore Road, East Ridge, Tn.